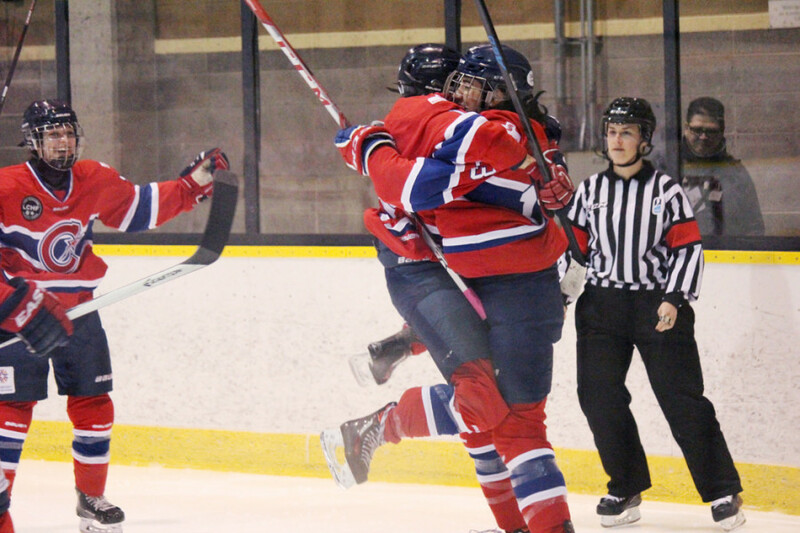 On Sunday afternoon, Les Canadiennes de Montréal defeated the Calgary Inferno 3 – 1 at the Etienne Desmarteau Arena in Montreal, sweeping their weekend series and attaining first place in the Canadian Women’s Hockey League. Canadiennes forward and Olympian Marie-Philip Poulin was a factor in her team’s victory, scoring two of her team’s three goals. Unsurprisingly, Poulin was named the game’s first star. Despite her heroics, she was quick to defer to her teammates. Canadiennes head coach Dany Brunet remarked on his star forward’s abilities in the defensive zone. While Saturday’s game saw an early third period offensive outburst for Les Canadiennes, on Sunday it was the opening minute of the second period that proved the difference. Forward Kim Deschenes found Poulin at the right-hand faceoff circle, where she fired a shot off the left post and in the net to open the scoring. 21 seconds later, Caroline Ouellette doubled her team’s lead. Just 23 seconds into the third period, Poulin scored her second of the game, streaking in on the left side and shooting a puck past the glove hand side of Inferno goaltender Delayne Brian. While Les Canadiennes were able to enter the offensive zone throughout the final period, they were unable to generate many quality scoring chances following Poulin’s goal. 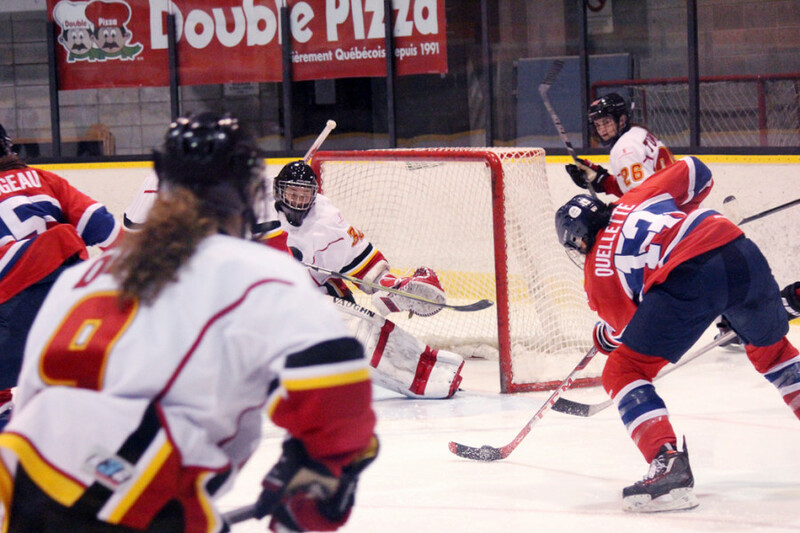 With three minutes remaining in the game, Inferno defenseman Hayleigh Cudmore passed the puck to Jenna Cunningham, who split the Canadiennes defence and stickhandled her way passed goaltender Charline Labonte to decrease Montreal’s lead to two. However the Inferno generated just a single shot following Cunningham’s goal afterwards. The two teams last met in Calgary in November, splitting two games, and will close out their season series in Alberta on Feb. 13 and 14. The next game for Les Canadiennes takes place this Saturday, Feb. 6 in Boisbriand versus the fourth place Brampton Thunder.